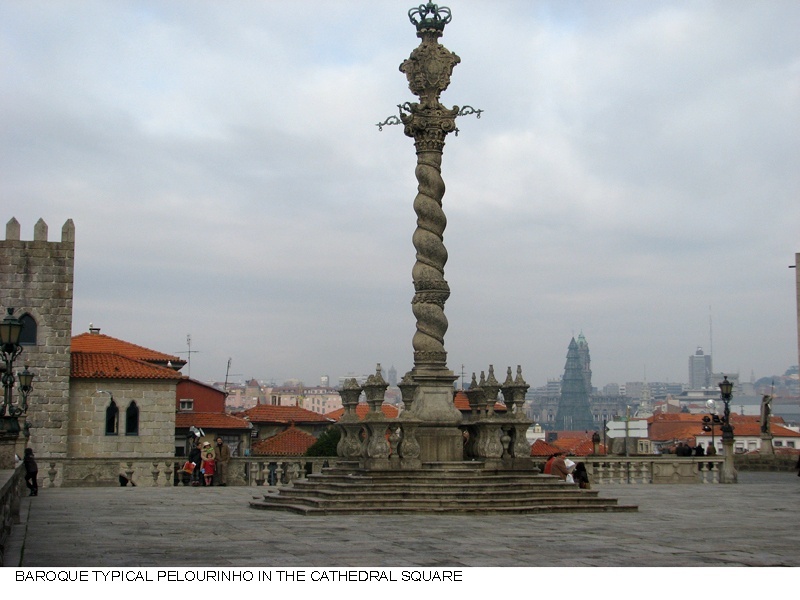 The city of PORTO is part of an extensive metropolitan area in the north west of Portugal. 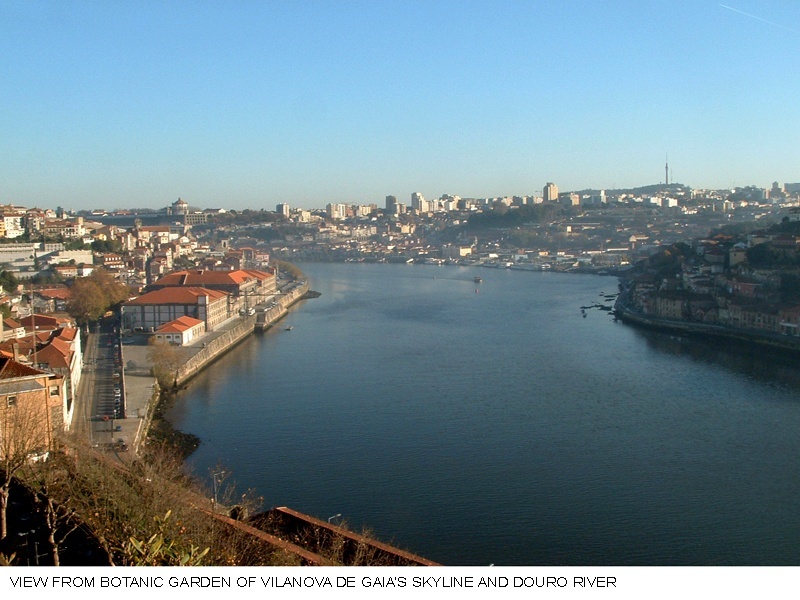 It is physically shaped by its proximity to the Atlantic Ocean and the embrace of the river Douro, its relation with both the ocean and the river has also shaped its political and economic development. 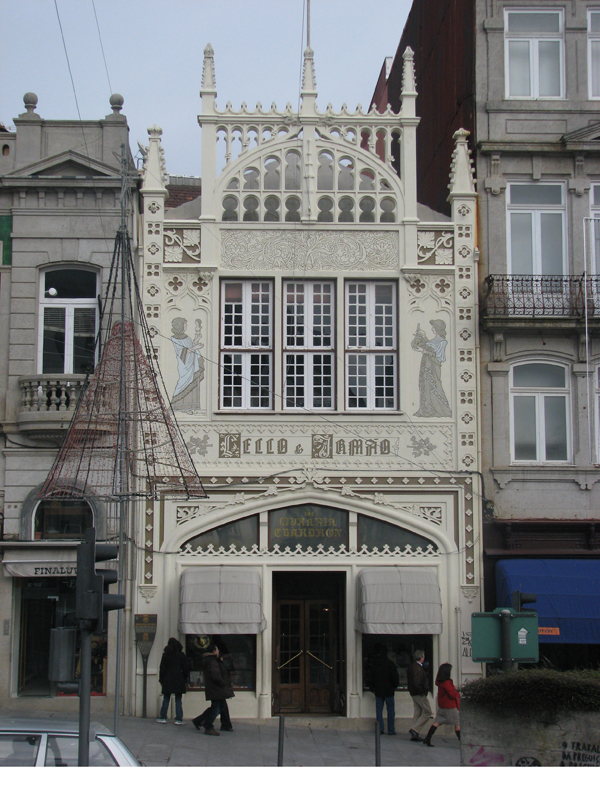 In fact, the town’s center, the heart of PORTO, was brought closer to the river, a municipal border with the neighbour town of VILANOVA DE GAIA, due to the establishment of the warehouses holding the first wine with denomination of origin, „PORTO”, since in this location they were able to avoid the council’s taxes. 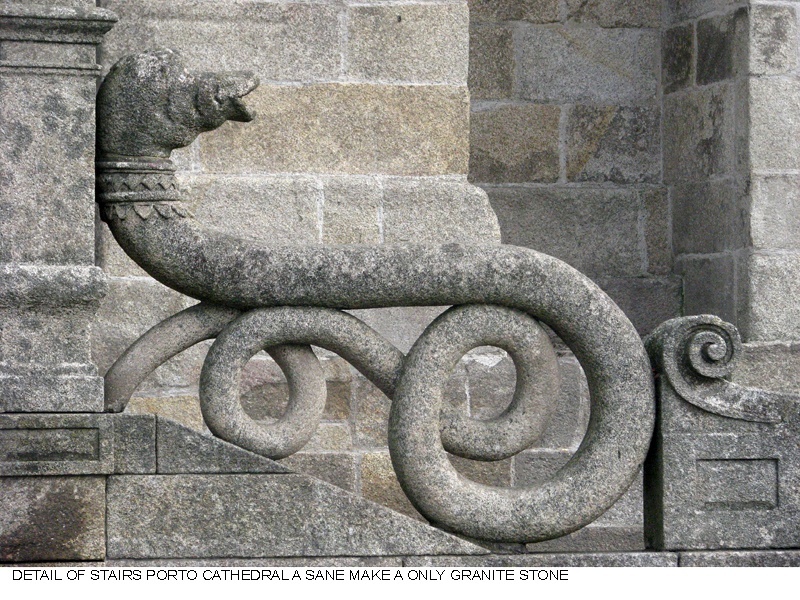 The river Douro, boxed between walls of granite, leads the town’s history, defines its physical shape and provides a special character to the City. 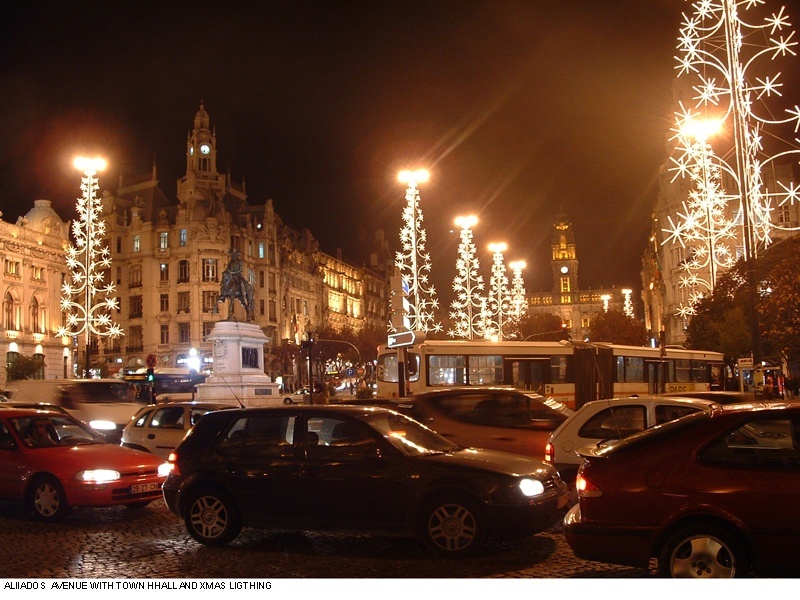 I am going to tell you about my PORTO, this old town that I know since my childhood and where I always faithfully return every Christmas. 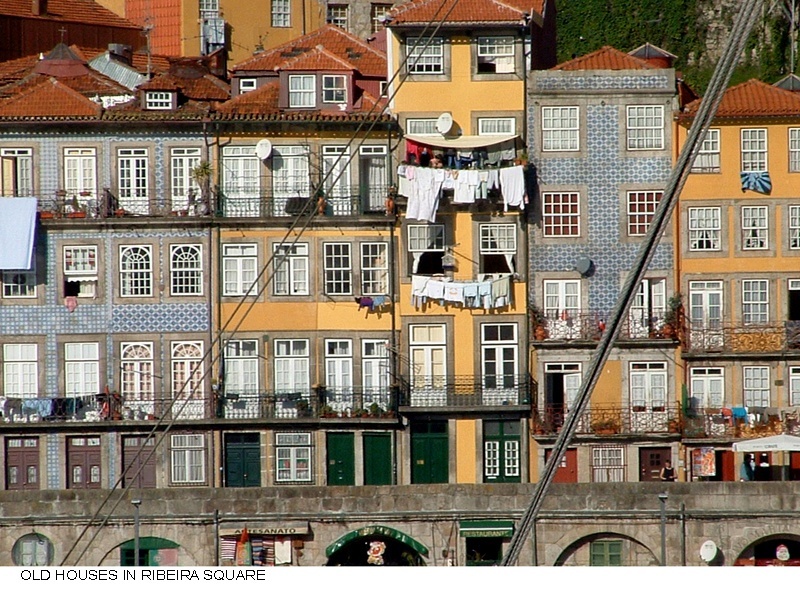 Porto’s inhabitants hung their clothes to dry on the windows, turning into arrogant the humble appearance of their houses by exhibiting their clothes as if they were flags of their own freedom, forming a mosaic together with the blue tiles that cover the buildings’ fronts, turning the city into a multicoloured puzzle. 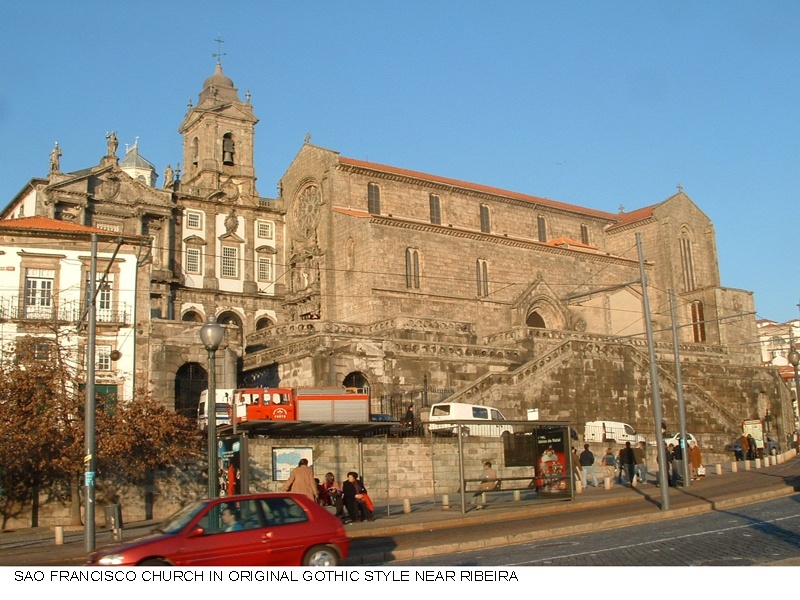 Here and there, between the buldings of infinite shapes, chapels, churches and sanctuaries can be found, the majority built during the baroque explosion of the S.XVIII thanks to the American gold. From the river, in abrupt slopes the streets flow, alley after alley where the authoress of Harry Potter lived while she was writing her fantasies, up to the hill where the surviving centuries old fortress-cathedral crowns the old city with the balcony of the episcopal palace facing the river. Beyond in the plateau, where the city expands, squares, parks, avenues and the wide spaces prevail in the new town. 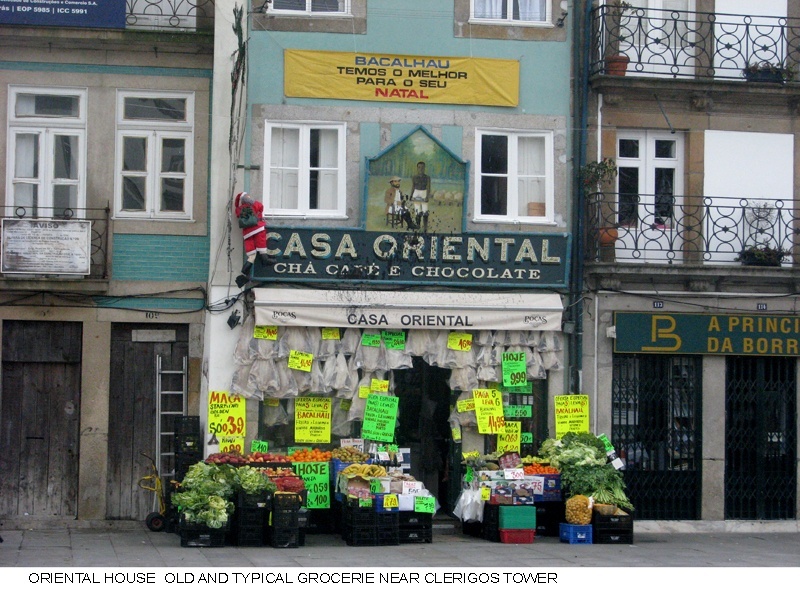 PORTO is a commercial city, in fact its more important newspaper is named ” O COMERCIO ” (The Commerce), this spirit is observed in the smallholding of the old city where one after one, on the ground floors of the multicoloured buildings, trades, bazaars, bars, cafes, restaurants and establishments of all kinds appear mixed with street traders. 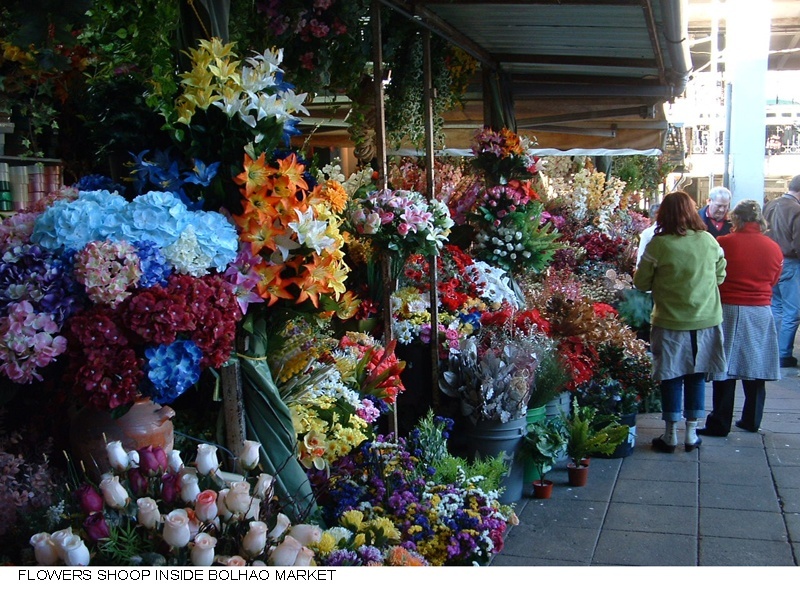 Every Sunday, when the usual trade closes, the alternative trade opens with endless street markets (birds on F.C’s station., coins and stamps near Aliados Av. and books in every corner). 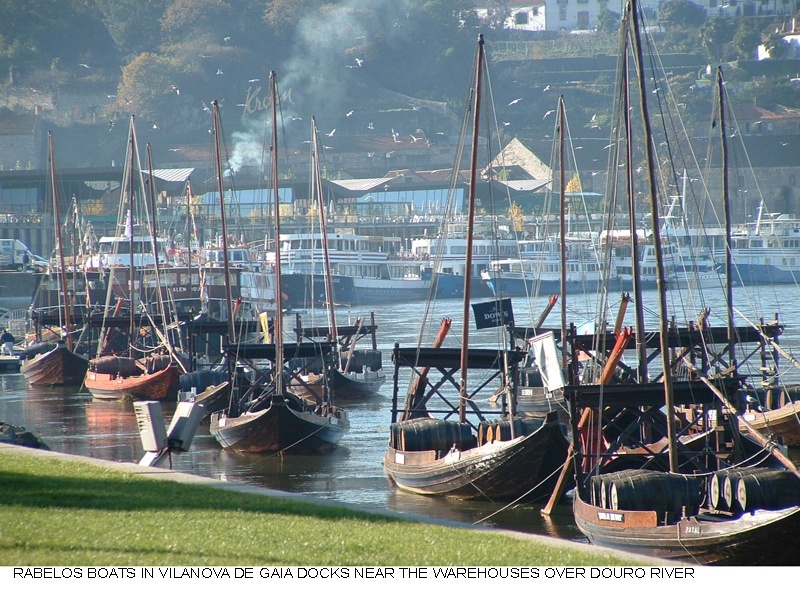 PORTO’S commercial activity relies and is dominated by the river, the city’s economic development derives from the river as the exit route for the exports of the wine producing areas of the inland to the english empire after the Treaty of METHUEN .The fingerprints of the treaty can be seen from Ribeira or Miragaia on the roofs of the neighbour Vilanova de Gaia through the names of the warehouses: SANDEMAN, TAYLOR, CROFT, OFFLEY, DELAFORCE etc.. 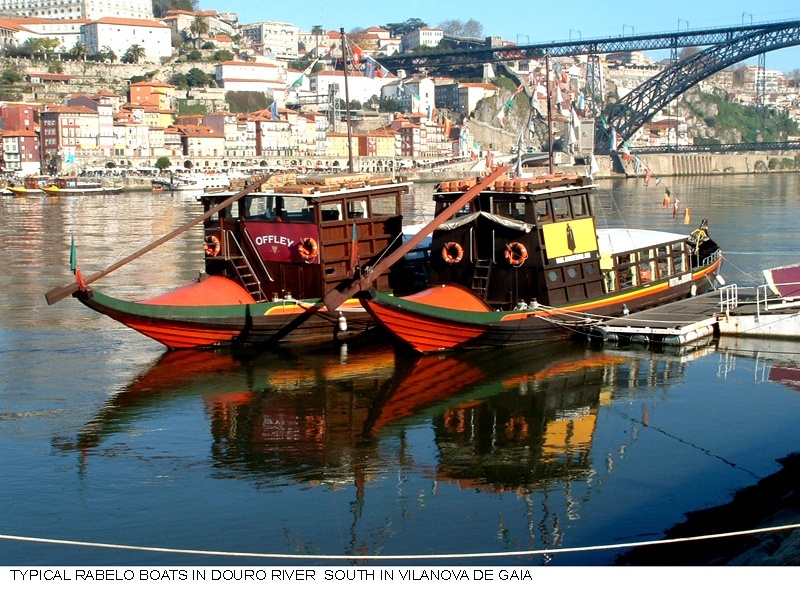 The barrels of wine were transported down the river by means of ships called RABELOS, until the railroad across the valley took over this assignment, leaving the ships as witnesses on the wharves and occupying their time with tourist’s cruises. After the collapse of the primitive pontoon bridge, during the Napoleonic invasion, where thousands of citizens drowned, the event being remembered in a high relief figure in bronze where there are always candles spontaneously lighted, a suspension bridge, of which only the props remain, was built. To its side Eiffel’s company built a wonderful bridge of two levels, the Bridge of DON LUIZ I, which nowadays is used for vehicles in its lower level and for the Metropolitan trains and pedestrians in its upper level and, further up the river, another bridge, ‚MARIA PIA’, for the railroad. 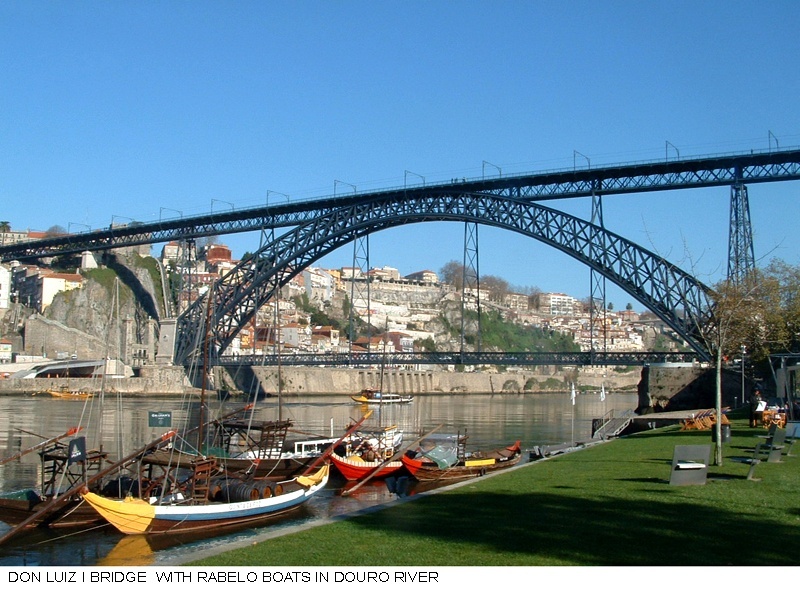 Later in time, with the appearance of the motorways, two other bridges were built, the bridge of „ARRABIDA” in the western part and „FREIXO” in the east. 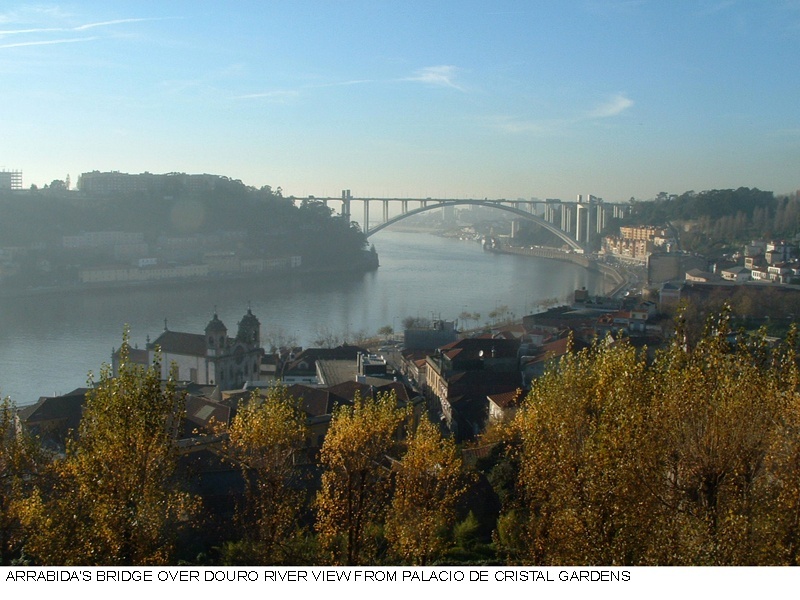 Lately another one of concrete joins the town’s center with Gaia (INFANTE’s brigde ) and a risky viaduct, SAO JOAO’s bridge, substitutes the old railroad’s bridge. 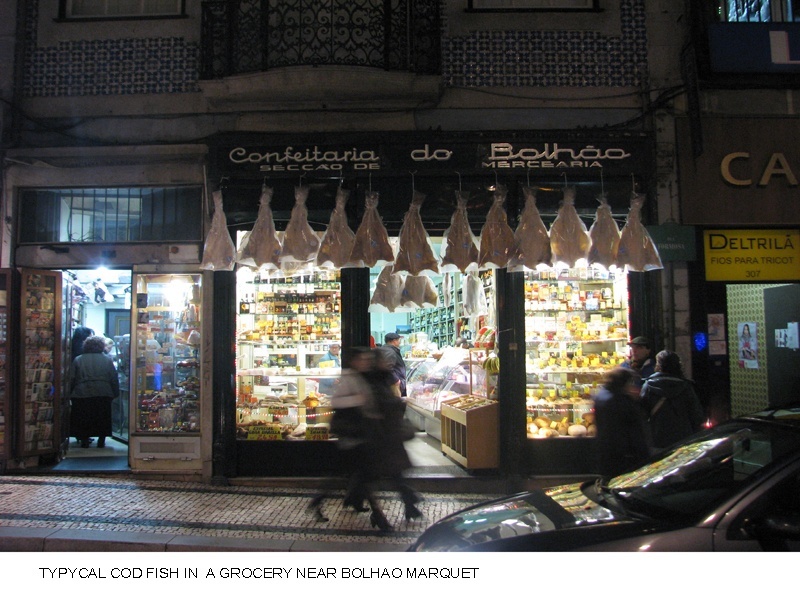 The inhabitants of PORTO are known in the whole Portugal by the name of „TRIPEIROS”, due to the local dish the „TRIPAS”, which is made of cow stomachs and beans. It is said that due to the supply of meat to a fleet, destined for the conquest of CEUTA, the city was left without meat with the exception of the entrails forcing the population to consume them. Another tipical dish is the „BACALHAU A GOMES SÁ „, created by the son of a ruined cod merchant who worked as a cook in a restaurant, it is a rich but cheap dish made of bits of cod mixed with potato, eggs and olives, a sort of salad. 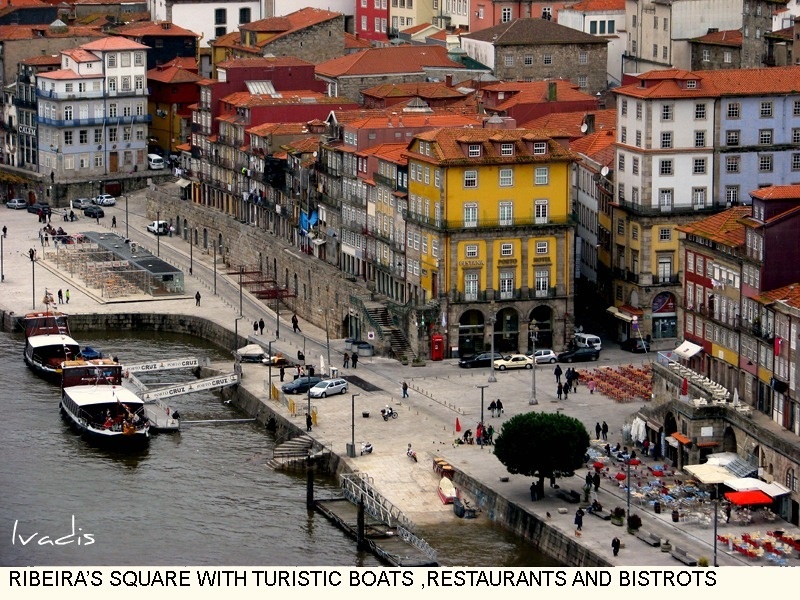 The third local dish of PORTO is the „FRANCESINHA”, created by a returned portuguese emigrant, who, back from France adapted the CROQUE-MONSIEUR to the local taste. The city is also named INVICTA (Invincible), from the wars between absolutists and liberals in the 19th century, the city resisted the attacks of the absolutists up to its liberation. PORTO’s cafes deserve to be mentioned. These establishments are the meeting point of the population of any trade or age and the breeding ground of intellectuals and politicians since their appearance at the beginning of the 19th century. 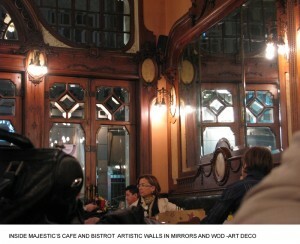 Those that survived are worth a visit, cafes such as the MAJESTIC in Sta. 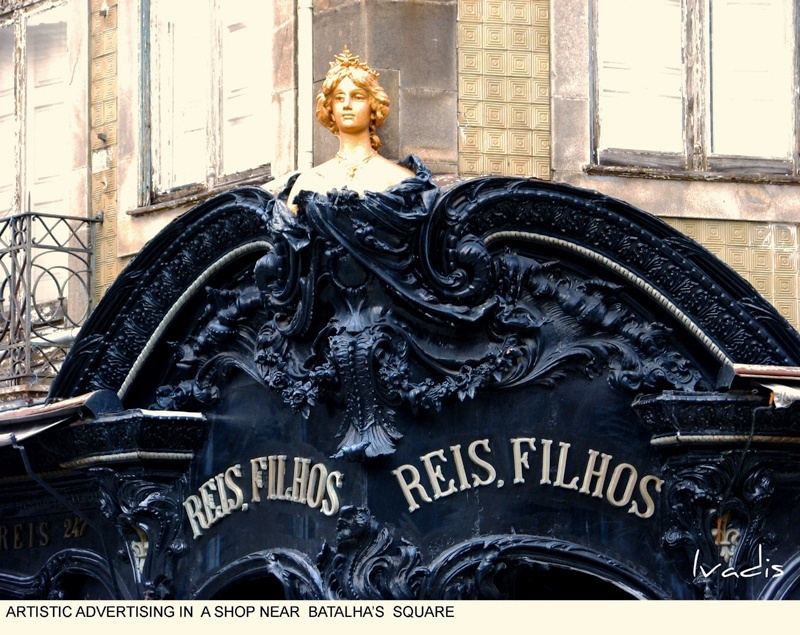 Catarina street, with wonderful ART-DECO, to BRAZILEIRA near CONGREGADOS street , the GUARANY, and the IMPERIAL in ALIADOS Av. 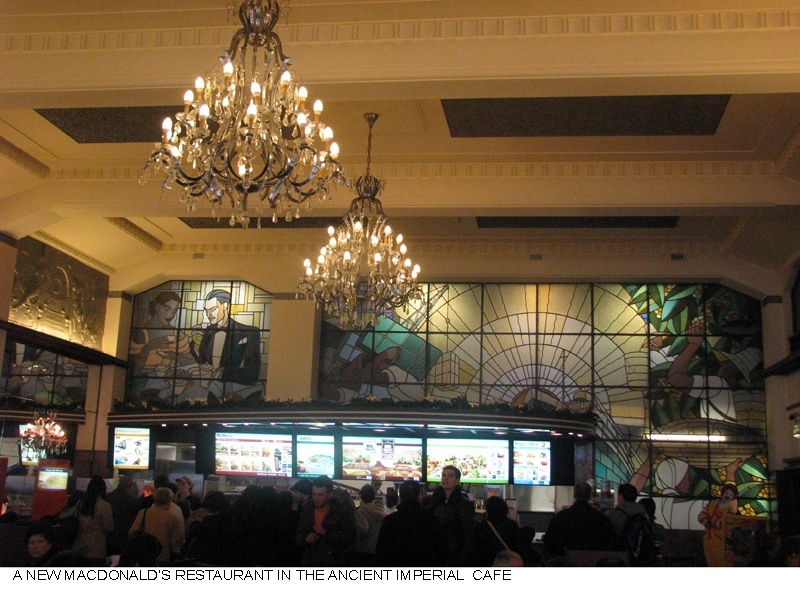 that has survived preserving its splendid modernist decoration while sheltering a MAC DONALD’s in its interior. 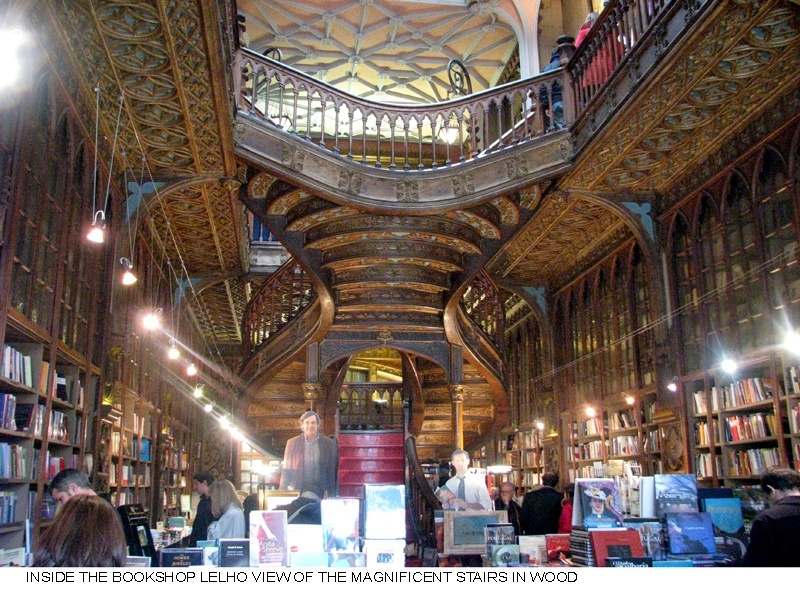 It is also worth mentioning one of the most beautiful bookshops in the world, the bookshop LELHO, it is difficult to manage to find a book since the sight wanders accidentally towards its impressive interior stairs, its wonderful windowed ceiling or the wooden filigranes of the bookcases. When I was a child, my view of PORTO was as a dawn of hope, travelling in a steam train from Spain, when approaching the city the train would sink under its hills across a labyrinth of tunnels in which the black was more from the unbreathable smoke of the coal than that of the darkness .My distress, accompanied by the rhythmic rattle of the wheels, ended when, in an explosion of light, the train would arrive to SAO BENTO station . 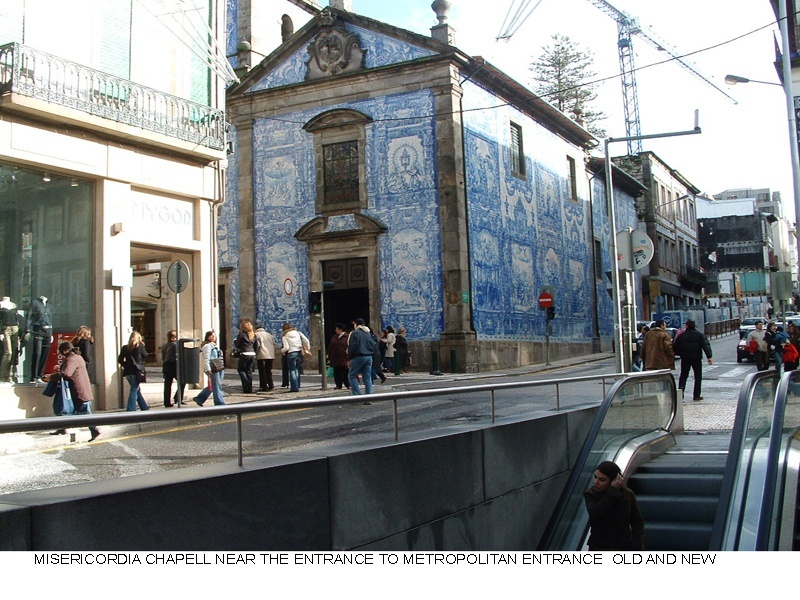 Getting out of the train and stepping into the foyer of the station was an undescribable feeling, the high walls are covered with blue tiles recreating moments of the history of Portugal and the construction of the railroad, all illuminated by the beams of light coming from the high windows . 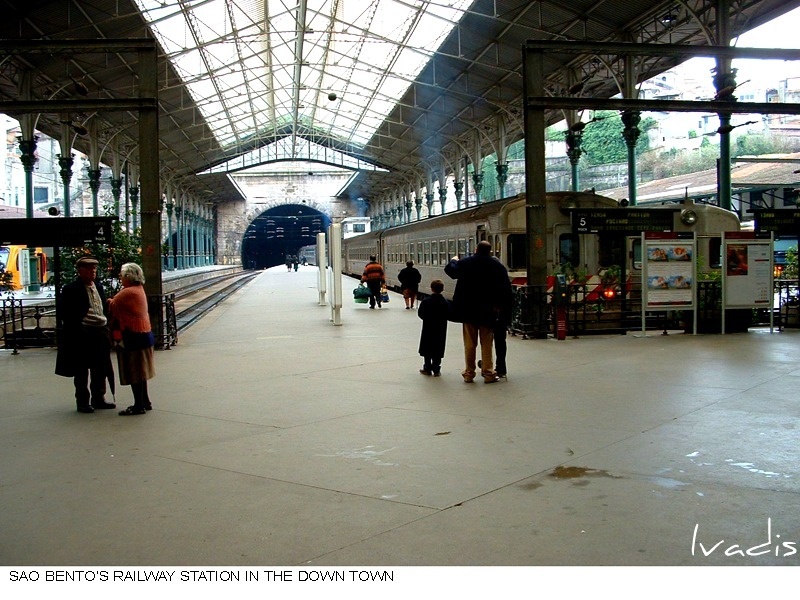 If you do not come by train to PORTO you must visit this station. substituted the previous merchant’s gathering in 1914. 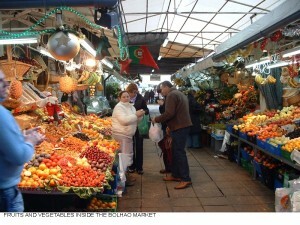 The market is a bubbling of people who comes and goes in search of any food or just for a stroll. 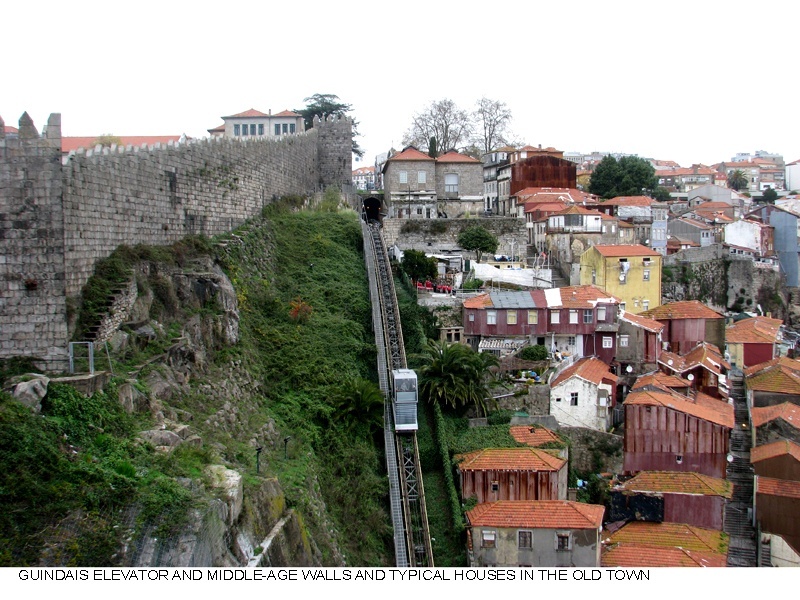 It has the typical apperance of the buildings of the beginning of 20th century. 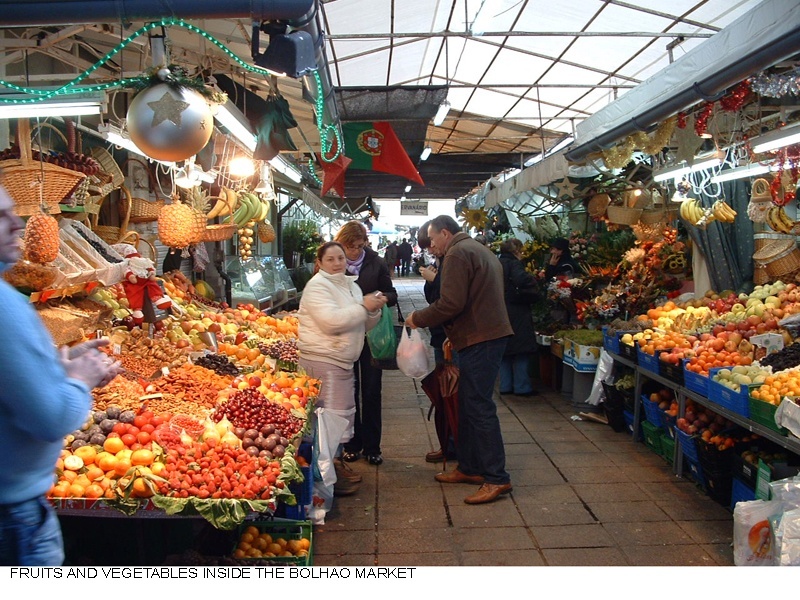 The scents of fruits and flowers are mixed with the aromas of the spices, the fish, the sausages, the fresh bread and the shouts of the female sellers. 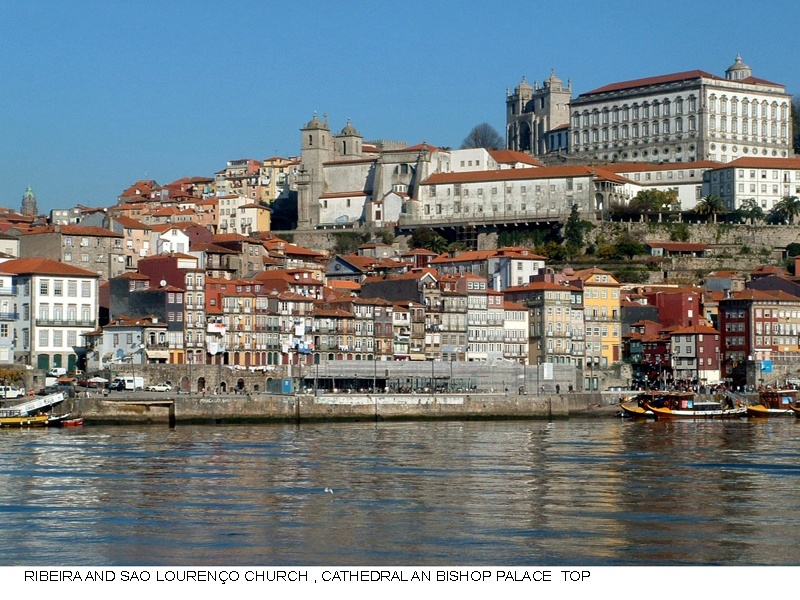 Around the market there are shops of all kinds and humble hotels, and, in any corner over the river the views are fantastic with viewing-points all over, MIRAGAIA, PALACE OF CRYSTAL with its botanical garden and the surroundings of the Cathedral are the most popular. 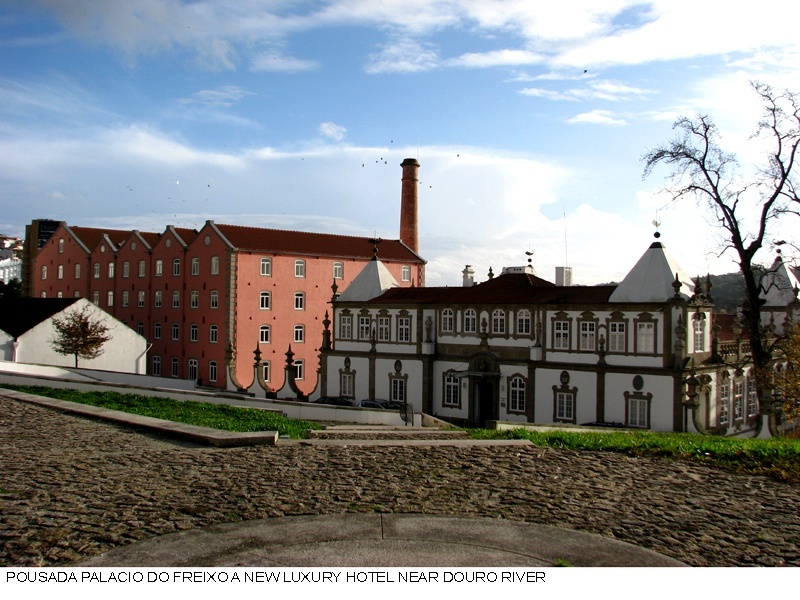 On the other side of the river, after crossing DON LUIZ’s bridge, the best view-point is that of MOSTEIRO SERRA DO PILAR, and old cavalry barracks. 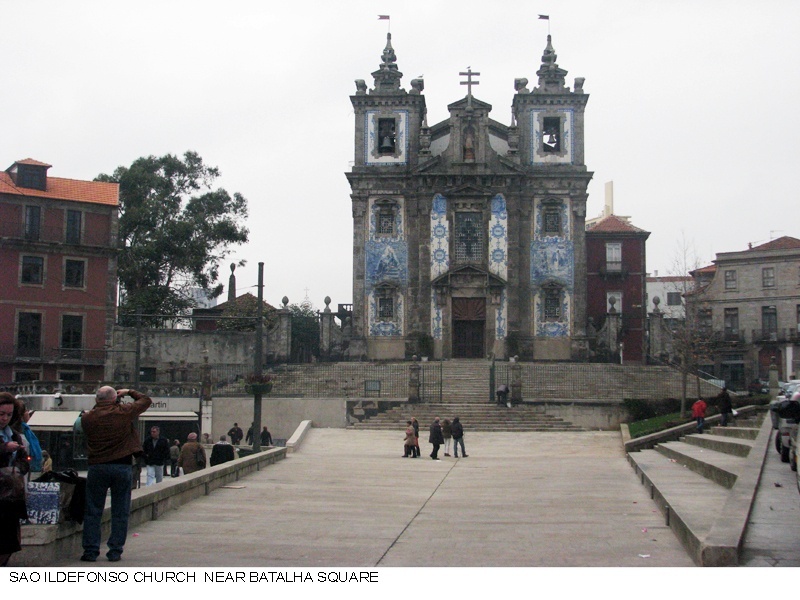 The bustling of the city multiplies during the summer festivities, the SAO JOAO celebrations are a madness of fireworks and street fiestas ornamented with the smoke of the roasted sardines consumed almost in any place and time. In winter Christmas. comes with an extraordinary display of colour that combines the red carpets at the doors of the shops, the Christmas lights, the rites of student’s initiations for the different Colleges and the smell of the fresh roasted chestnuts that the peddlers offer wrapped in cones of newspapers. 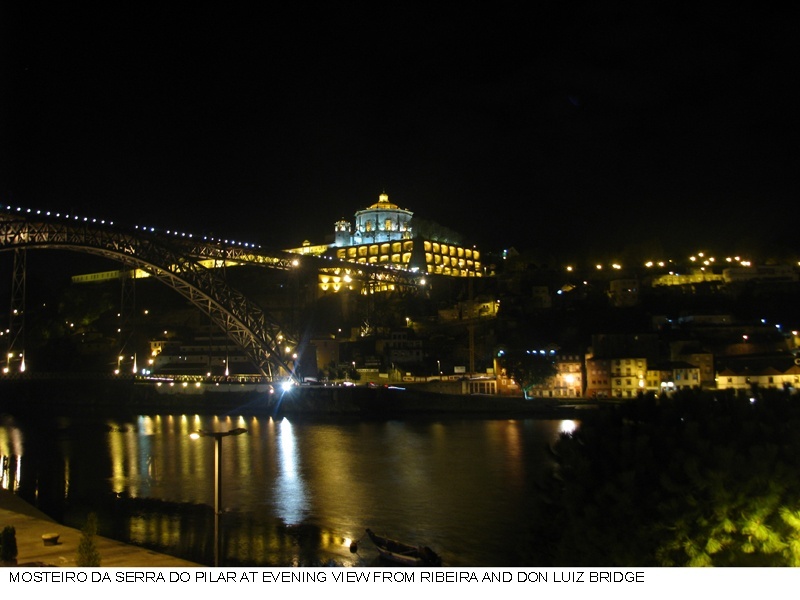 At the end of the evening peoples moves towards THE RIBEIRA, to the small restaurants found on the old port under arches and to the nearby bars; On the walls there are small placards marking the level of the river during past floods, often catastrophic before the construction of the dams. Alongside the music and the drinks, the river embraces the city and flows, insatiable, unstoppable, dark, constantly carving its gorge between the hills of granite, dragging the land of the interior and melting in FOZ between waves and seagulls that wait for the distraction of the anglers at the edge of PASSEIO ALEGRE. This is the city that I love, that always welcomes me fondly and where I always promise to return every Xmas. for as long as I can, to buy Christmas glass balls in bazaar PARIS, to taste the cod of ABADIA and some JESUITA with coffee in the MAJESTIC. Hola Ivadis todo muy bonito, no que te piensas es negativo mi noticia. Fotografias muy ambientne. La biblioteca me he visto en televisione de alemana. Ivadis, thank you for very interesting article and wonderful photos. 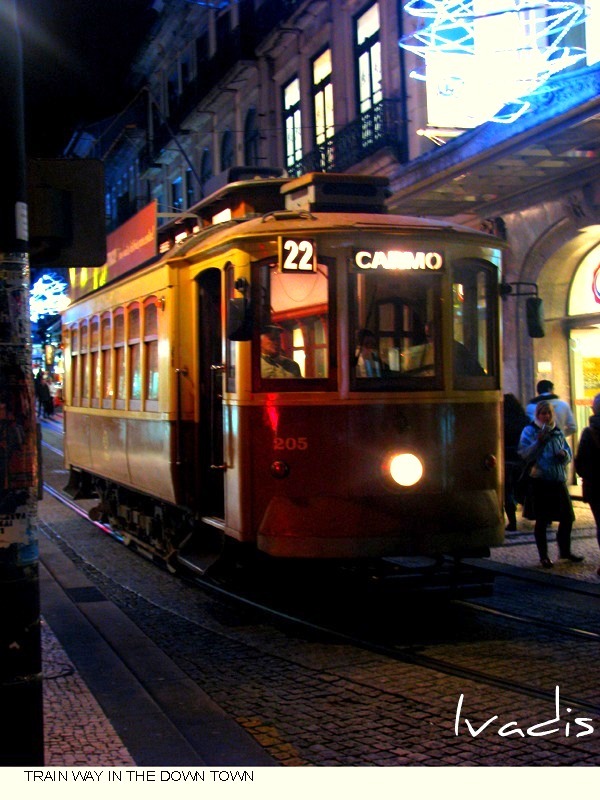 As I can see, Porto is picturesque, beuatiful city and I hope, that I will go sightseeing it sometime 🙂 Warm greetings, Maggie. You are a very nice Malby I have been still your photos great, and I am charmed with them, for the type of photos and cities that you like I believe that you would enjoy very much visiting I carry and catching sensations across your lens. Hi Malby , the stupid traslator , traslate I Carry for the Name PORTO , I´m sorry. Dear Admin I wait that great people think that you are an enterteining people… I think it. Formal and correct but very enterteining. I do not use the translator of Google, use REVERSO and for the Pole BABYLON. I am satisfied enough by them, but not if you might use them. Thank you Ivadis for suggestions. This plugin – „Global translator” – gives me the choise between Google translator ,Prompt online,Altavista Babel Fish and Free Translator. I have to look for other solution. Hi JOKATO bardzo dziękuję Ci są bardzo miłe w komentarzu. Porto na pewno ci się spodoba. Tak się domysliłam, że to Portugalia po napisach. Bardzo nastrojowe zdjęcia. A o tej Bibliotece widziałam film w TV. Dear Isabella , the traslation polish-spanish of your comment is impossible with my traslator. 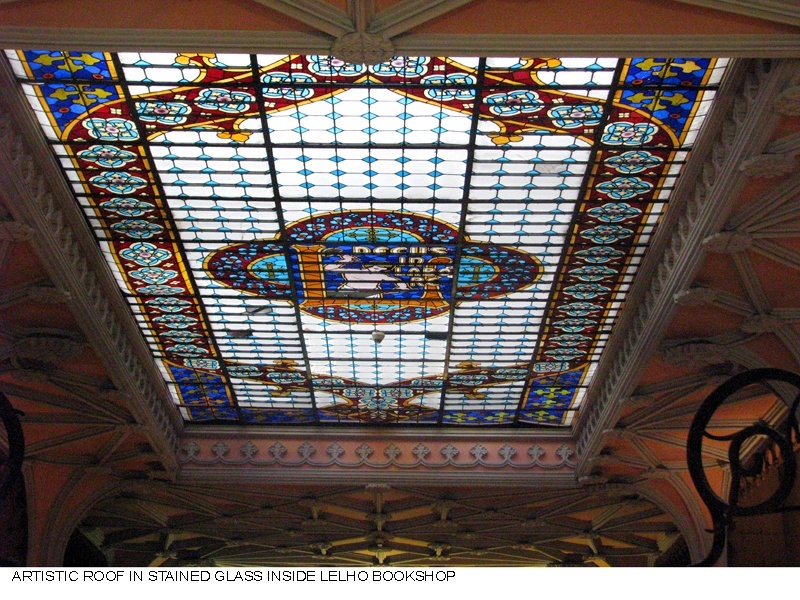 I think you say you see the bookshop in a Polish TV. is correct? Eh, Ivadis. Stupid translator. It translated: Así que supuse que se trataba de Portugal en las inscripciones. Bardzo nastrojowe zdjęcia. Fotos muy mal humor. A o tej Bibliotece widziałam film w TV. La Biblioteca del video que vi en la televisión. Bardzo nastrojowe zdjęcia. – it means very good atmosphere, vibe, etc. Fotos muy mal humor – sounds negative. After reading the story of this beautiful city I feel that my soul wants to fly.. 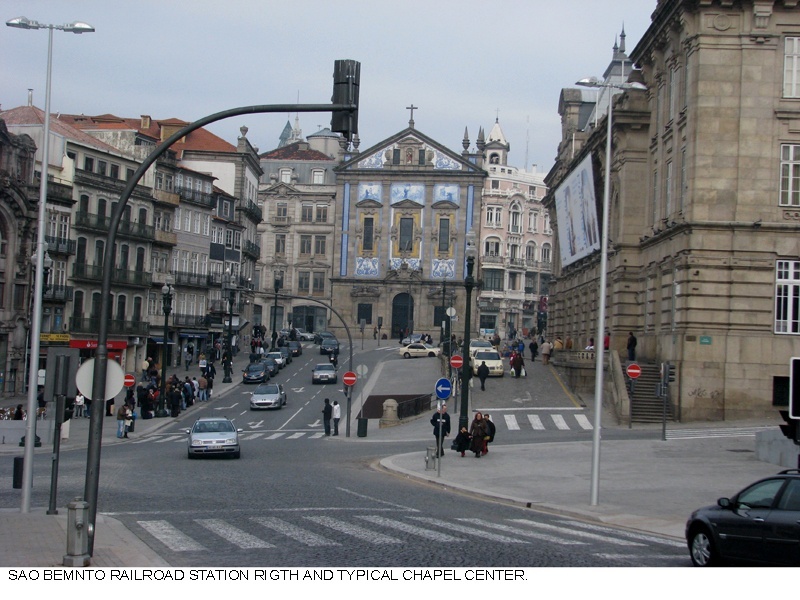 I like very much such poetic description like about Porto’s inhabitants clothes ;)”… flags of their own freedom…”. Great! Hot greetings from cold (again) Poland. 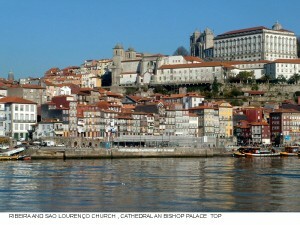 Hi Janina you and Isa are welcome always to Porto . 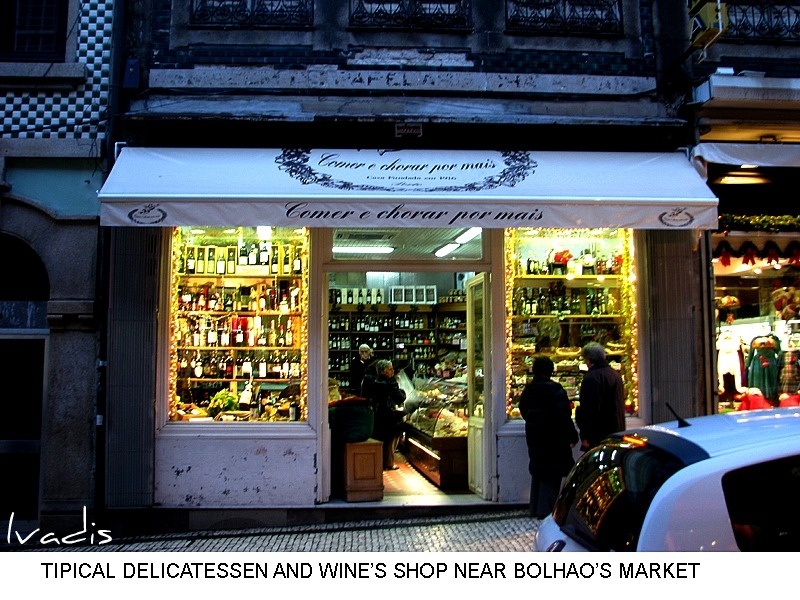 If you trip any day at Porto I Invite eat at the best BACALHAU A GOMES SÁ in the portuguese world. 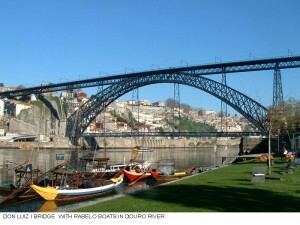 Dear administrator the tag correct is Portugal-PORTO not Spain. Ups! My God! Working in the night generates mistakes 😉 Very sorry! 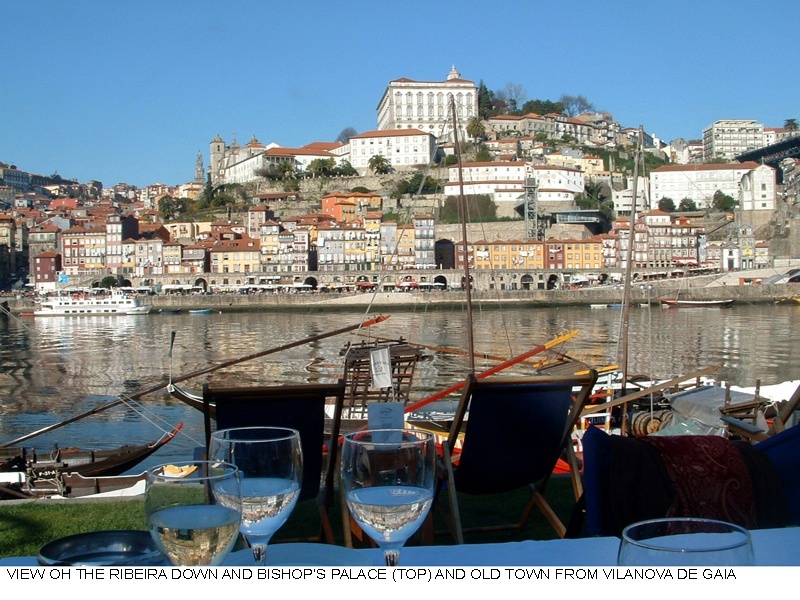 Yes , Janina Portugal is a great overdose of sun for all , at winter too. Wpisz sumę: 2 + 3 ?